Hello guys! 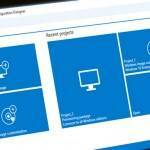 Today we will review the Windows ICD. 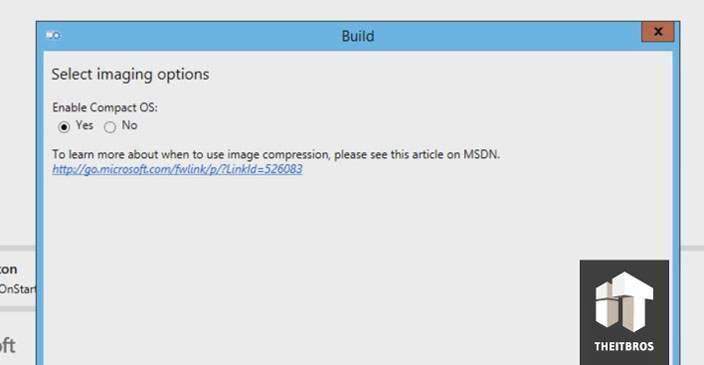 This is an awesome tool, which allows you to customize your Windows image by importing applications, updating drivers and all that good stuff. However, Microsoft provided us with an awesome graphical user interface. The first thing you need to do is do not touch anything in application, because you need to set up your environment before you even do this. Now we are going to create a v1.0 folder here. Then we are going to copy the folder name and create another one: v2.0 folder. This is the place we will drop all the stuff. 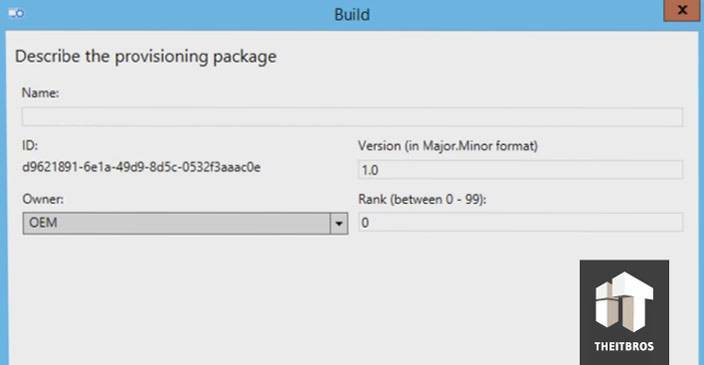 The next thing you need to do before you even get into the application and start building stuff is you need to grab an ISO and extract the content from ISO or a DVD in some folder. 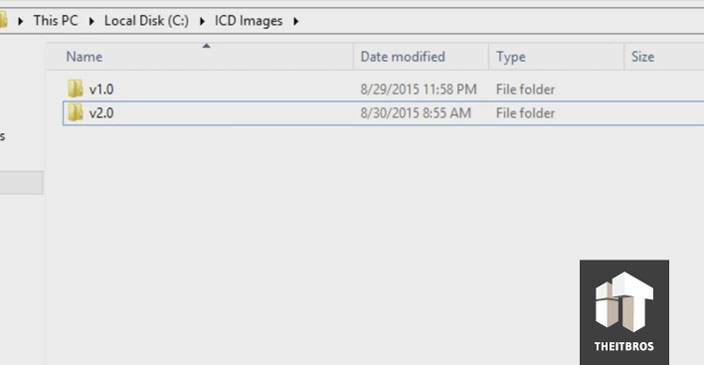 So, right after this go to the ICD application and click on New Windows image customization. 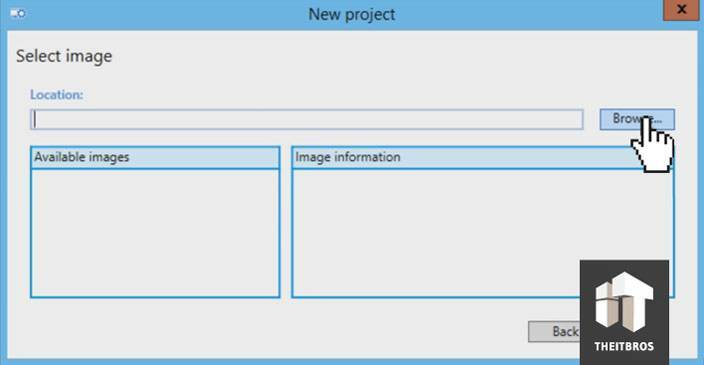 Now you have to name your project. Click on Next and you will see the image format selection. You should not change anything, so click on Next. Now we need to select our image. 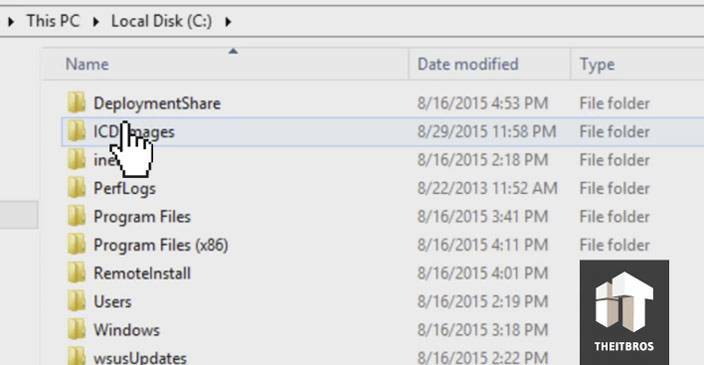 Click on Browse and go to that folder, where you extracted all those files from ISO. Now you need to find install.wim file. It is actually located in Sources. Click on Open and depending on what .vim file you import, you will see detailed information. 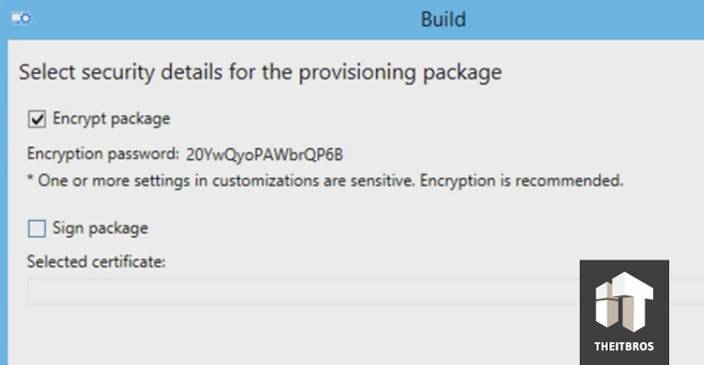 If you have any provisioning packages, you can add it here, if you not – just skip it and click on Finish. Once it done you are going to get all the settings that you need. The first place we are going to is a View. 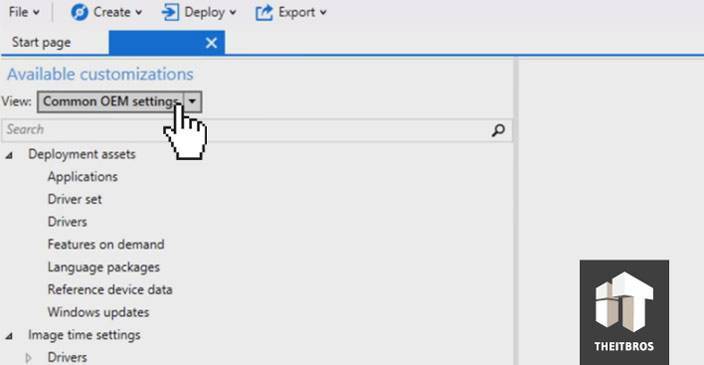 Go into Common IT Pro settings and this will give you options to Runtime settings. Now within Runtime settings go to Accounts, then click on ComputerAccount. 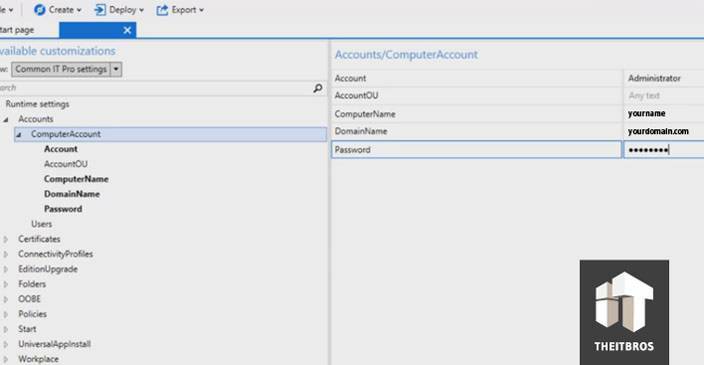 You need ComputerAccount to add your computer into a domain, so we are going to add it to Administrator, because this account has full access to our Active Directory. It will help us to add this machine into our domain controller. We do not have any AccountOU. If you want to get more specific and dropping into a particular organization, you can do that, but we are not going to do that. Also you need to add your computer name. The domain name is going to be a domain where the machine is placed. After this type the correct password in the section below. 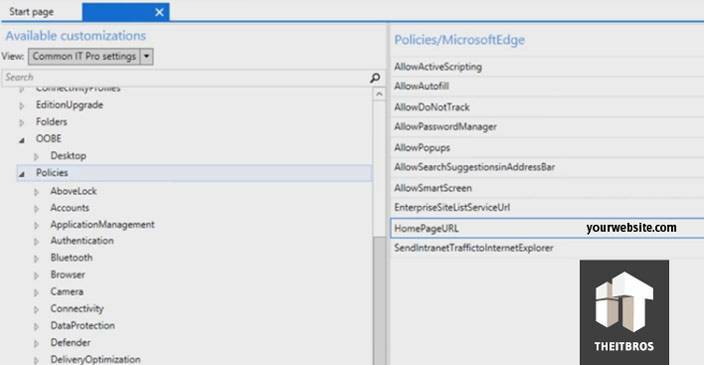 Now go to Policies -> Microsoft Edge. Here you can change HomePage URL. 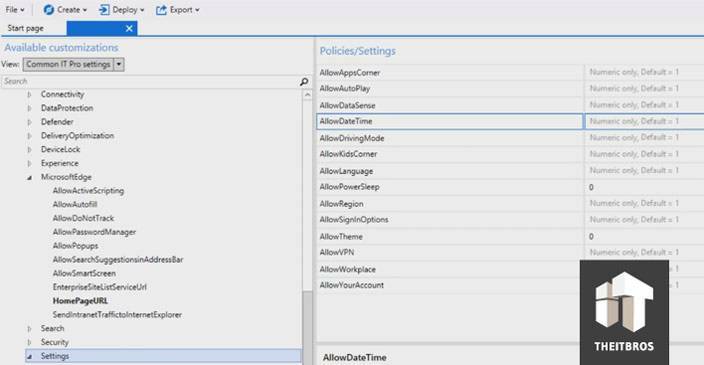 Another section within the policies that we like is Settings. So go inside Settings and here you will have more cool options to work with. For example, you can AllowThemes. Another option we really like is AllowPowerSleep. If you don’t want to allow anyone from your network to change the date and time, you can do it with AllowDateTime option. “1” turns it on, “0” turns it off. Now go to Updates. 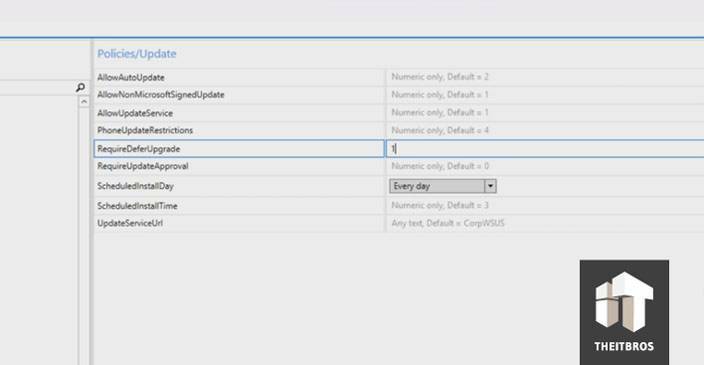 For those of you, who wants to control the updates schedule, you can change default value to particular day. You can also allow auto updates. Again, guys, it is really up to you. You can customize your environment in the way you want. 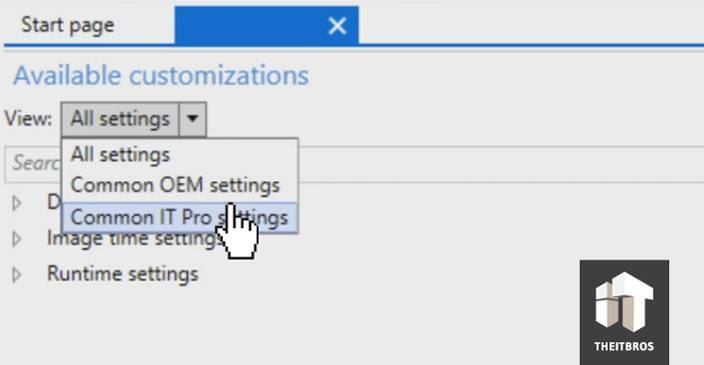 Once you did with IT Pro Setting, you should go to OEM settings. There are a lot of stuff you can change there. 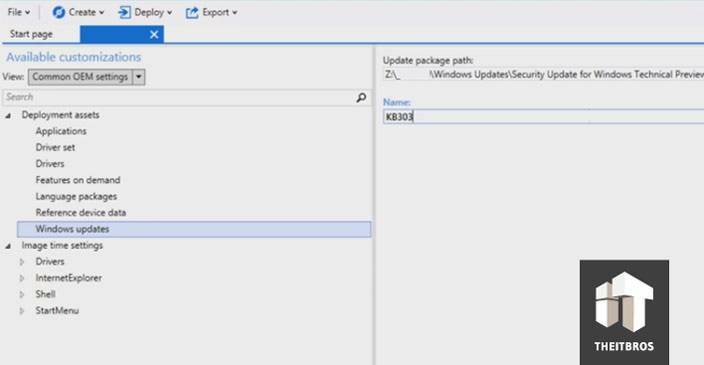 For example, you can add the Update package path. Also, you can actually navigate to where you have drivers. In our case, we have a package with the network drivers, so we are going to add this package. In addition, you can customize the Internet Explorer. There are favorite bar items, favorites list and favorites on top. If you want, you can customize your Start menu and many other things. 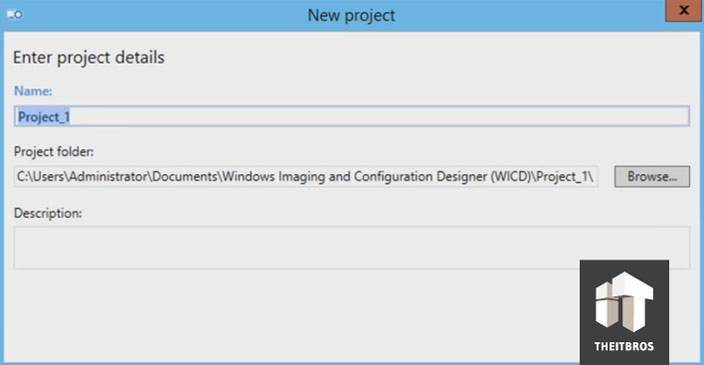 Once you make modification within the Windows ICD its time to export or create the build. 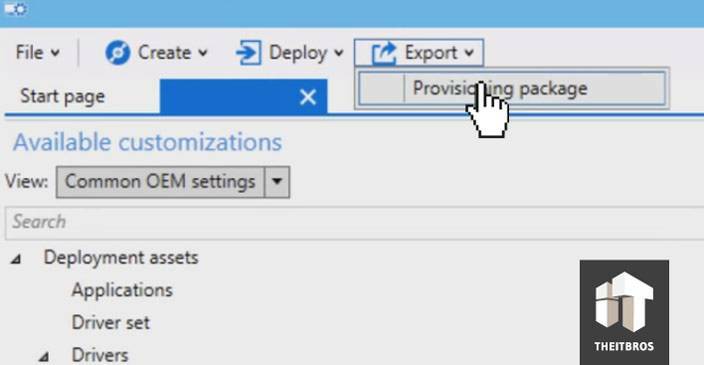 Click on Export, then select Provisioning Package. Now you will see a window with the build. Click on Next and in the following window you can select the encryption option. It is just up to you, so if you have any stuff that you do not want any eyes looking at, you can encrypt it. Also, if you have any sign package of certificates, you can import them here as well. Click on Next and now you are going to build. The process takes no more than a minute, it is really fast. Once it done, click Finish. Now it is time to create a build. 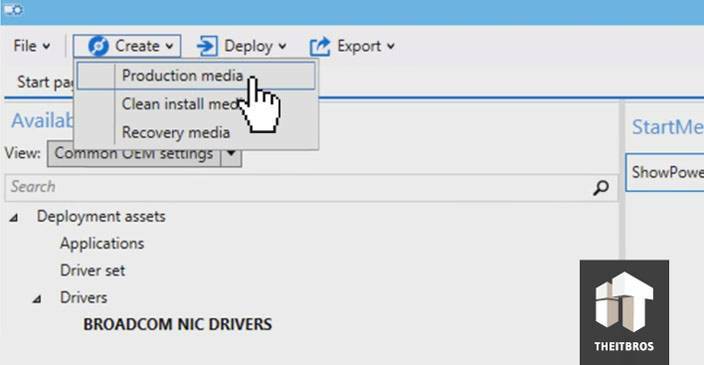 Just click on Create -> Production Media and select the WIM format to build. 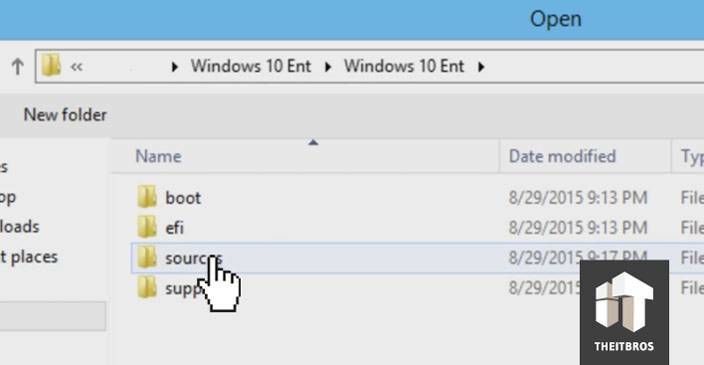 After that you should Enable Compact OS and click on Next. We do not want to enable audit mode, so in the next window we click Next. Now we are actually going to save it to a folder, but you are able also to create a bootable USB drive. In the next window, we are going to browse for folder that we created earlier. Select it, click on Next and we are going to build. All right guys, it is completed! 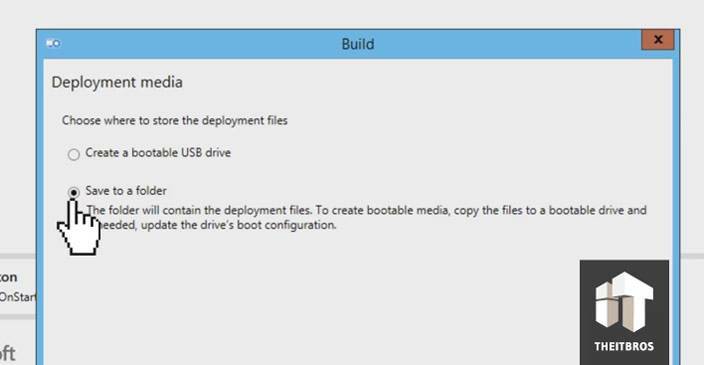 The next step is either you pick the bootable USB and you could just take your flash drive and boot from that or if you are using MDT, you can import this build inside your MDT. 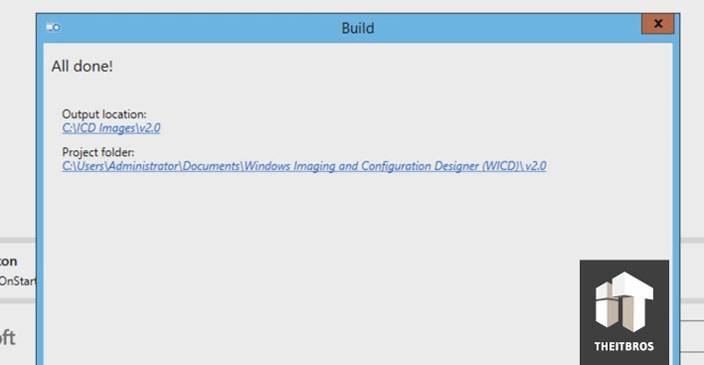 Again, we can’t really tell you guys what is best for your environment, there is so many options within the Windows ICD. That is all. If you have any questions, leave comments in the section below.